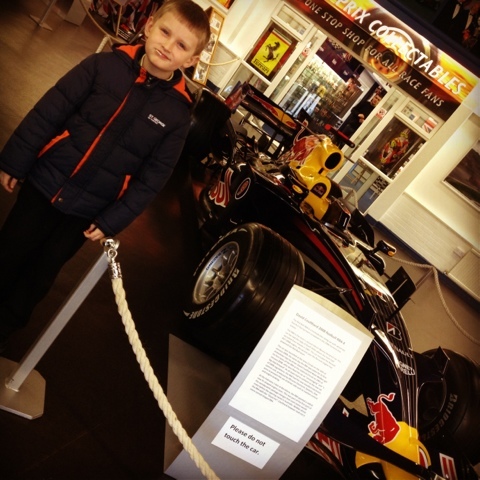 Charlie and me have just made a flying visit to the shop at the Grand Prix Collection shop at Donington Park. In the entrance hall is the beautiful Red Bull car driven by David Coulthard in 2008. We didn’t get to go around the museum today, but it is well worth a visit. The shop is also full of goodies! Really enjoyed watching the F1 today at Abu Dhabi and even better to see Lewis Hamilton on top of the Podium and with a smile on his face. Seems like the extended DRS zone has really helped with the overtaking problems, that was seen last year at this track. Enjoyed watching Button and Webber go past one another. Bit of a shame for Vettal and his puncture on the 2nd corner, but nice to see somebody else out in the lead. 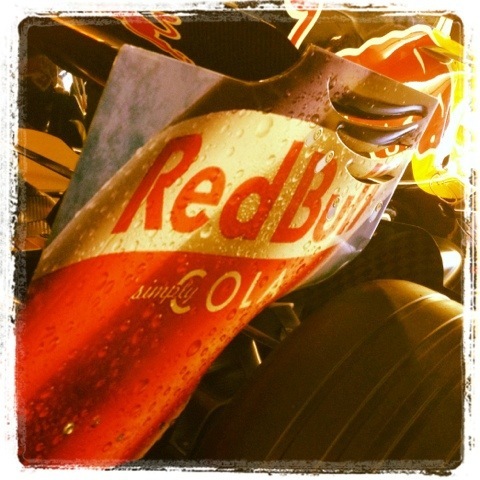 I was very surprised about the Red Bull Tyre strategy, with Webber coming in on the last lap for the tyre change but give them top marks for trialling new bits out. The other surprising bit was how nice Lewis and Fernando were with each other! Hopefully I will get to go there next year to watch the race and go to Ferrari World!